It was an odd thing to do but I was getting desperate. 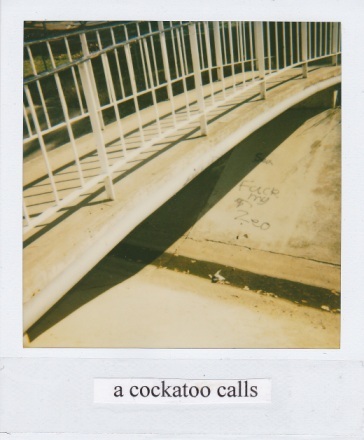 Within minutes I’d be on Melbourne radio by telephone link-up and talking about a novella of mine published last year, but I was already into the writing of the next novella. I made a coffee, hoping this would break my concentration, but it didn’t have the desired effect. I quickly fed the chooks, but still my brain was filled with the work-in-development. As the interview crept closer, the only idea I had was to just return to my writing room and hope my head would clear. But my head didn’t clear; all I could think about was the new story, the one that’s still in the process of being born. On air would I mix up my titles and characters and plots and themes and end up sounding like a fool? Could it be that all we have to do sometimes is sit in a different chair to sort everything out? As a last resort, I stood up, walked to the other side of the room, and breathed in slowly, deeply, breathed out. There’s a chair on that side of the room. It’s a simple 1930s piece which I bought just after I moved in – my house is old so it seemed only right that I have some old furniture. I’m not into antiques per se; I don’t like gloss and shine and perfection. If I find a piece that’s been discounted due to an obvious flaw, I’m more interested. This particular chair was so unloved that the shop kept it outside under a lean-to. No one wanted it. Except me. I sat down and – oh my – what on earth was happening? I like writing, I like working hard, so when I’m in my writing room I’m always at my desk, not in the old chair in the corner, which really just exists these days for decoration and atmosphere. But while I sat and waited for the interviewer to ring, I saw a completely different view of the room. From this angle, the room appeared larger, taller; it even smelt different. For a minute, two minutes, three minutes, I just sat quietly in the old unloved chair and felt altered. 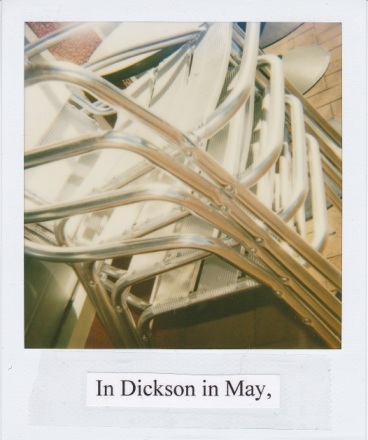 It felt as if I’d stepped outside myself, the way some people describe an out-of-body experience at the time of near-death. Of course, I wasn’t dying. I was just being differently. After three minutes, the phone began ringing. I stood up and calmly answered the call. No, regrettably this little novella isn’t going to be a contestant on The Voice, but there is a music connection. In 2007 the British rock-band Radiohead famously released their seventh studio album, In Rainbows, on a pay-what-you-want-for-the-download basis. Whilst definitive results of the experiment are hard to come by, indications are that about 60% chose to pay nothing, while the remainder paid on average a significantly discounted price. Overall, however, once the album was released physically, In Rainbows was a financial and critical success, making more money than the band’s previous album across all platforms. 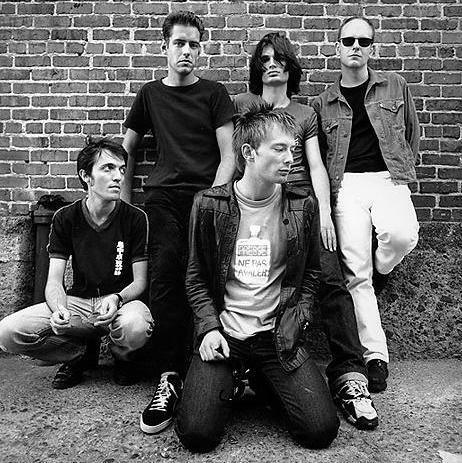 At the time, Radiohead’s approach was considered ground-breaking, but over the years there’s been debate about its impact on the music industry in general; even Thom Yorke, the band’s free-thinking frontman, said that the strategy may have been a mistake, as it played into the prevailing internet culture that everything should be free. What’s this got to do with literature and Fall on Me? For a limited time only, the e-book version of Fall on Me is available to download on a pay-what-you-want basis. Nice. As is increasingly obvious, the publishing world is currently in turmoil and in many ways is following on the digital coat-tails of the music industry, or at least trying to. Publishers big and small are looking to try anything and everything to get their books in the hands of readers. And my publisher, Blemish Books, is no different. So, for a limited time only, Blemish have released Fall on Me as an e-book on a pay-what-you-want basis. It’s a very interesting proposition, because it’s actually the mirror-reverse of the In Rainbows experiment: Fall on Me has already had a successful run as a physical book, in terms of both numbers sold and positive reviews achieved. But will this new strategy generate downloads? And how much will readers pay for it? And what do I reckon about all this? I’m just glad that the life of Fall on Me is being extended, and if Blemish’s cheeky Radiohead-esque move means more readers can experience the novella then I’m all for it. Plus I have a phone-bill to pay. This little baby’s gonna be out and about a bit more over the coming months. I’ll probably turn up as well. Meanwhile, the most recent of the two novellas, I’m Ready Now, continues to make its way in the world as a hard-copy-only book. A handful of reviews down, and some public-reading gigs in the bag, I’m Ready Now has a few more outings up its sleeve. At 6pm on Thursday 20 June, I’ll be joining my Blemish stable-mates, including PS Cottier and JC Inman, at a special one-off event called A Very Blemished Evening, a title that suits me perfectly. It’ll be held at the new Smith’s Alternative, which is a longstanding and iconic Canberra bookshop that’s recently had a major overhaul and is now as much a bar and performance space as it is a place of books and reading. Do join us: there’ll be booze, which is the main thing, isn’t it. Oh and I’ve heard gratuitous gossip that there’ll be music by Canberra’s favourite streetwise troubadours, The Cashews. Now that’s something to get excited about. Then, a few weeks later, at 4pm on Saturday 13 July, I’ll be taking part in the Southern Highlands Writers’ Festival. Established only last year, this time around the Festival has on offer literary luminaries such as Anne Sommers, Mark Tredinnick, Ursula Dubasarsky, and Geordie Williamson, all in a charming venue with an intimate atmosphere. Don’t like the massive crowds of the big-city festivals? Me neither, so come to this one. I’ll be sharing the stage with Christine Howe, which is a bit nice as we’re both alumni of the University of Wollongong’s creative writing program. We’ll be talking ‘Fantastic Fiction’ – apparently this requires us to dress as superheroes. Me in lycra? It’ll never happen. But I’m sure Christine and I will still be able to keep you entertained. Especially if there’s booze at the end of it. As always, thanks for your support and interest. Fingers crossed that I’ll see you at one – or maybe both? – of these events. And if you’re in the market for the highest quality e-book known to mankind, I do hope you’ll be able to press the right buttons and make a very independent publisher and their very independent author just that little bit happier. Plus there’s that phone-bill to pay. Chink-chink. 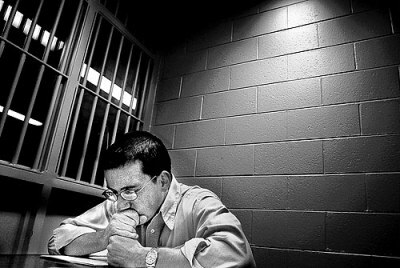 Scenario: in jail you will have two options – a pad and pen, or an endless supply of novels. What do you choose? ‘I just have to write; I have no choice.’ It’s a perplexing statement, mostly because it’s just a little too grandiose, even for me. And self-important. It’s as though writing for some people is as critical as breathing and eating and sleeping and loving. But writing isn’t that important. If, say, Helen Garner doesn’t produce another book the world will keep turning: people will go to work, they’ll marry (if they’re allowed) and have children; there’ll be wars and earthquakes and floods and famine. Certainly, if I don’t write another word it simply won’t register in any part of the world’s consciousness. And the teenager down the street who’s busy scribbling away as you read this? She’s as inconsequential as a sparrow standing on the lip of a backyard birdbath. Do I have to write? I don’t know. What I do know is that I have to exercise on a daily basis otherwise my brain turns in on itself. I know that an hour in the garden or cleaning out the chook-shed cheers me up no end. I know that a good couple of hours reading leaves me feeling connected to life in a way that’s so deep and intimate it’s almost frightening – in a good way. I know music can resonate and elevate and move my bones like nothing else. I know that a blue sky, especially the sort we get in this Southern Tablelands part of the world, can stop me in my tracks. I know that when an Australian politician over-simplifies a complex problem to play on our most base fears I want to throw the coffee-table through the television screen and make the whole thing blow up. But do I have to write? Every so often, perhaps a couple of times a year, I tell myself to have a break from the writing room, to just spend a few days reading on the couch, and drinking coffee in the sun, and walking the dog up the hill, and sitting by the fire with a glass of wine in hand and a record on the turntable. For a day, as I’ve said before on this blog, it’s bliss, it really is, and for a couple of days it’s beautiful. But then I start to get edgy: it just doesn’t feel as if I’m being productive; it feels as though I’m not living deeply enough, that time is passing me by, that I’m not making the most of everything that’s on offer. At some point I’ll find myself on the couch scribbling away at a notepad – more than likely it’ll be an idea for a novel or novella or short story, or it might be the draft of a First Word for the Canberra Times, or a post for these here Under the counter parts. After a day of this, I’ll find myself back at the desk and working on a whole new project. But do I have to do this? Perhaps I’m addicted to the work of fiction: the heady rush when it’s going well; the gut-wrenching frustration when it’s all going to hell in a hand-basket. Maybe I like fictional worlds better than real worlds, that what I make up is more interesting that anything that I can actually touch and smell and feel. Or it could be the love of fantasy, even the contemporary-realism type of fantasy that I like to do. Or the love of playing – is make believe simply better than make do? It could be that I just like setting goals and achieving them (as if that’s all it takes to create a story and have it sent into the world), so in the end I’m no different to someone who wants to swim faster in the pool. This morning, while feeding the chooks, I subjected myself to a highly fictitious scenario (trust me on this): I’ve done something bad, have been given a prison term, and offered the following two options: a pad and pen; or an endless supply of novels. I’ve put a lot of thinking into finding the right answer, and I’m almost 100% certain that I’d take the endless supply of novels. Because in prison I’d want to escape into the fictional worlds on offer, they’d be worlds so carefully and lovingly and painstakingly and skilfully created by others, and I’d appreciate – I’d need – them all very much, reading would be my saviour. And I think there’d be relief in this, that I didn’t have to do it anymore, that I could just enjoy the words and sentences and paragraphs and chapters and characters and predicament for their own sake. Except they’d mean more to me than that, wouldn’t they: the novels would sustain me, they’d become my dreams. So, do I have to write? No, but while I’m as free as a sparrow on the lip of a backyard bird-bath, writing is something that I love to choose to do. David Malouf’s ‘Complete Stories’: grandly handsome, in every possible way. There are times – like these last two days – when I feel as though I’m the luckiest man alive, because I’ve been starting the mornings reading on the couch in my library room. For some, luck might be scoring that high-paid job, or travelling overseas, or being able to fill the house with the boundless rush of children, but for me it’s reading, it’s stillness, it’s silence, a book in my lap, a real book, one that needs to be held, one that has pages that have to be turned. I’m in a writing lull, which sounds bad, as in I’ve lost some kind of fire. But the fire is there; it’s still burning, raging even, it’s just that a manuscript has been completed and sent to my publisher and I’m not yet ready to start a new project. So I’m filling these deliciously long, slow empty days with reading. Reading happens all over the house: there’s lap-top and iPad reading at the breakfast-/lunch-/dinner-table; there’s living-room couch reading; there’s writing-room reading, the conscientious, studious sort; and there’s bed-time reading. But the reading I enjoy the most is the sort that happens in the library room, which I also sometimes call ‘the front room’ or ‘the fireplace room’. When it’s really good, both the reading and the room, it’s cold and wet and windy outside, and I light the fire, pour myself a coffee, and cover my body with my grandmother’s black and red and yellow mohair blanket and get lost in the words. 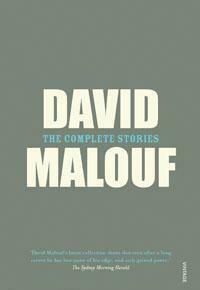 Yesterday and this morning the words have been written by David Malouf: The Complete Stories (Knopf 2007). It’s a grandly handsome book, in every possible way, and, at over 500 pages, it’s big, it has such weight – you need two hands to read these stories. Sometimes, when the story is a long one, almost novella length, and I’m far too engrossed to rise for a break, I prop up the top of the book on the repositioned piano stool, which is the perfect height for the task. Ah, the words on the page, Malouf’s words: searching, circling, yearning, but they’re always so warm; they take you in and have you. Crafted but not overly crafted; satisfying, so very satisfying – days after living for such a brief period with these stories, the people of the stories stay with the reader, demanding just a little more time, a little more understanding, because they’re complex, and their predicaments are complex too – but they don’t wallop you; they’re intelligent, but never clever; they’re absolutely finished but not always perfect. All the while there’s the fire crackling and hissing and popping and creaking away, the heat coming before waning, a thin fog in the room, sometimes even a sting in the eyes, but always the smell of smoke on my hands from getting the fire going in the first place. Perhaps it’s the stillness I love the most, and the silence, the sort of silence that seems to embrace that which is made by the fire, even enhanced by the fire. And enhanced by the words, David Malouf’s words. 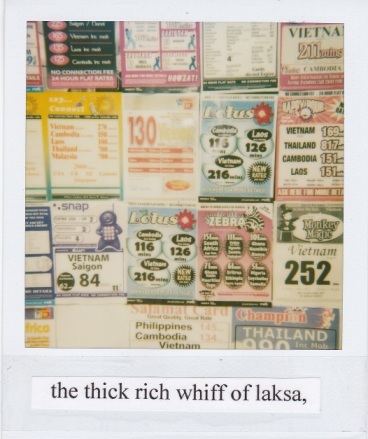 What does it mean to read like this? Yes, it’s transportation, and communication, entertainment even. It’s a good, worthy, even noble pursuit. And, with the fire, there’s a kind of romance to the whole practice. But there’s much more to it. There’s depth, great depth, and illumination, everything stripped bare, everything and nothing is sacred, you can’t hide, the words will come for you – yes, you – in the end. Exposed, that’s it; we’re all made raw. Despite the fire and the blanket and the coffee and the couch, it’s uncomfortable to read. When the reading is as good as this.